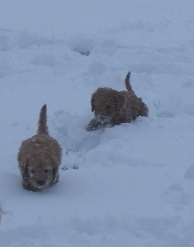 Well it has been fun having the puppies experience the snow! At first they were wondering what in the world was going on and then they started running and playing. It is so precious to see them romp around and chase each other. We have about 4″ of snow and they can barely see in some areas! 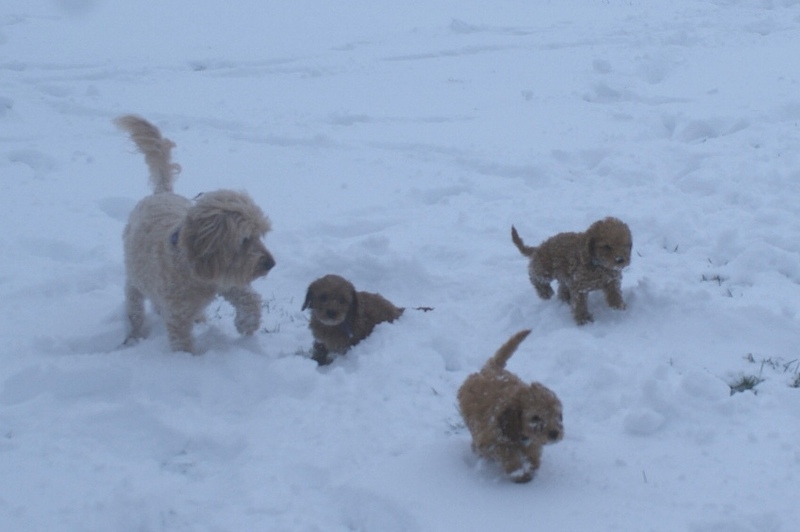 These Australian Labradoodle puppies have been having a great time! Notice mama (Summer) out there teaching them to run and play. 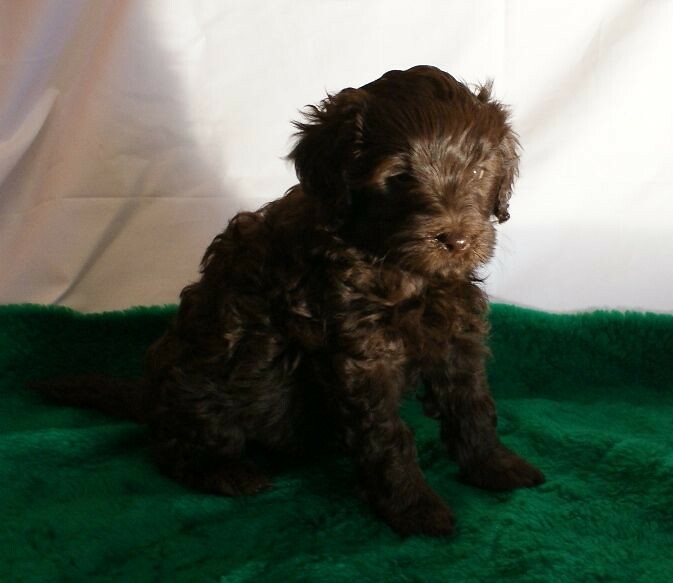 These little beauties weigh about 4 pounds and are going to grow to about 25 pounds as adult Australian Labradoodles. 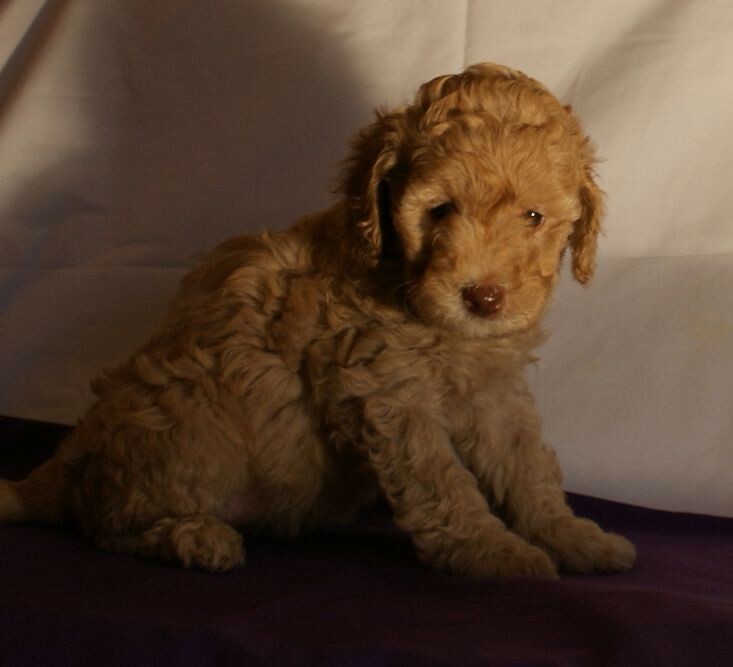 These Australian Labradoodle puppies are apricot and red in color. 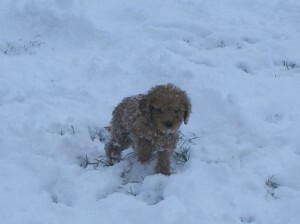 They have wavy and curly fleece coats, which are ideal for those who suffer from allergies and asthma. The Australian Labradoodle makes a fantastic pet and has an ideal temperament for various professions: a canine companion, a therapy dog, or a service dog. 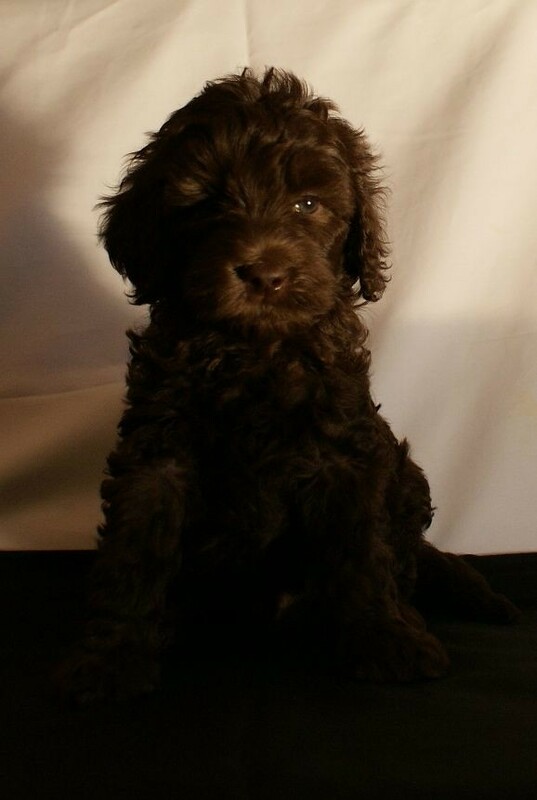 Ashford Manor Australian Labradoodles is located in Indiana where our puppies are raised in our home. 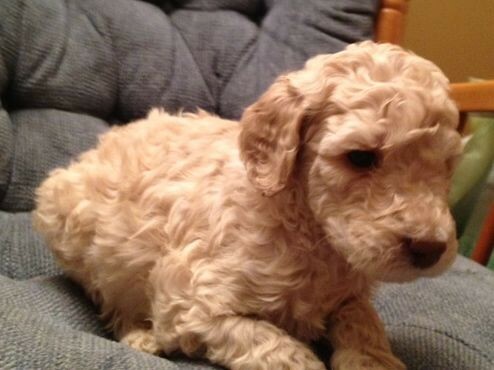 We have a nursery for our puppies and they spend the day in our laps, romping around, or in training sessions. We work with them everyday to prepare them for your homes. 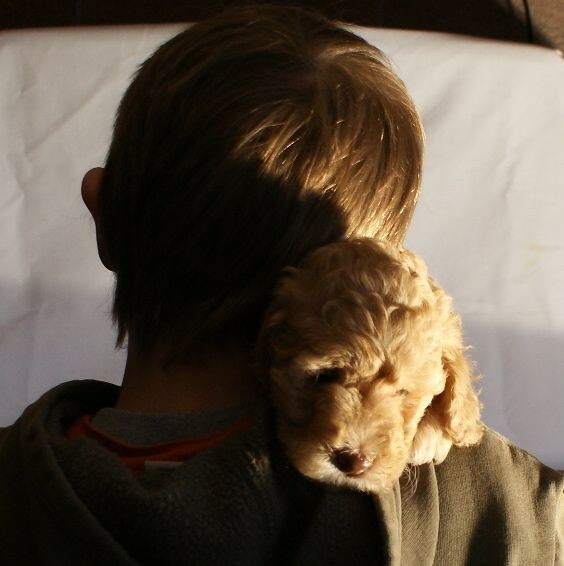 Our Australian Labradoodles are feed premium pet food, and loved on daily. 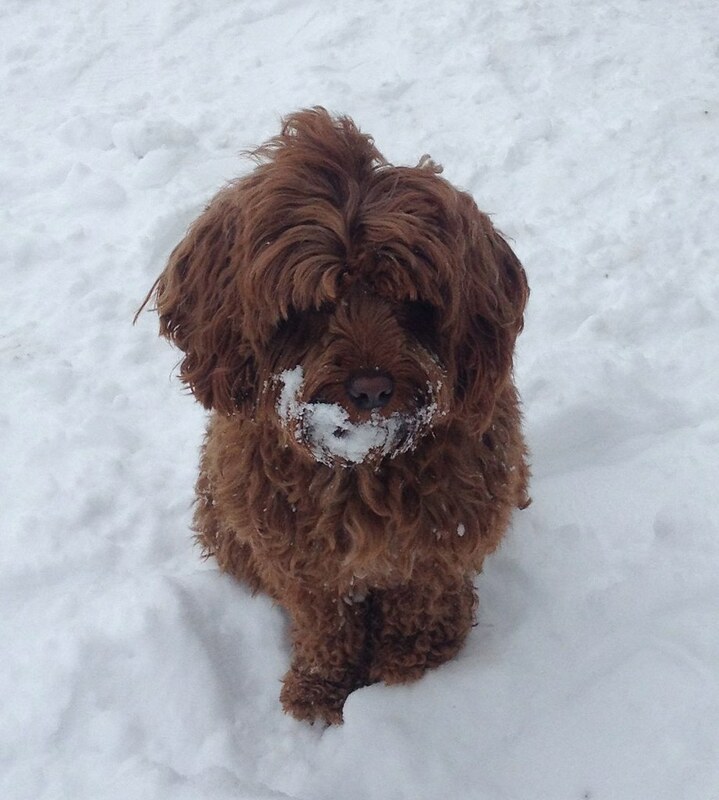 We are dedicated to being Indiana’s finest Australian Labradoodle breeder.